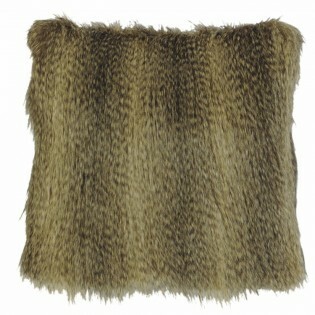 The Faux Raccoon Fur Pillow is made from soft faux fur with the look of Raccoon. Made to order in the USA. The Faux Raccoon Fur Pillow is made from soft faux fur with the look of Raccoon.